Only a tiny percentage of people on Earth have ever had the chance of seeing the magnificent Northern Lights. However, with the aid of modern digital photography and the internet, many have been able to look at pictures of the phenomenon. Still the experience of chasing and watch the Lights soar in the sky cannot be contained in a single photographic frame. The Northern Lights, as a physical phenomenon, happens both during the day and during the night. However, the brightness of the sun-lit atmosphere makes it impossible for human eyes to gaze at it during the said-time, so one may only experience the Lights when the sun has set and the sky has turned dark enough for stars to show up. Once night has fallen, the next step is to find a location where the sky is as clear as possible. 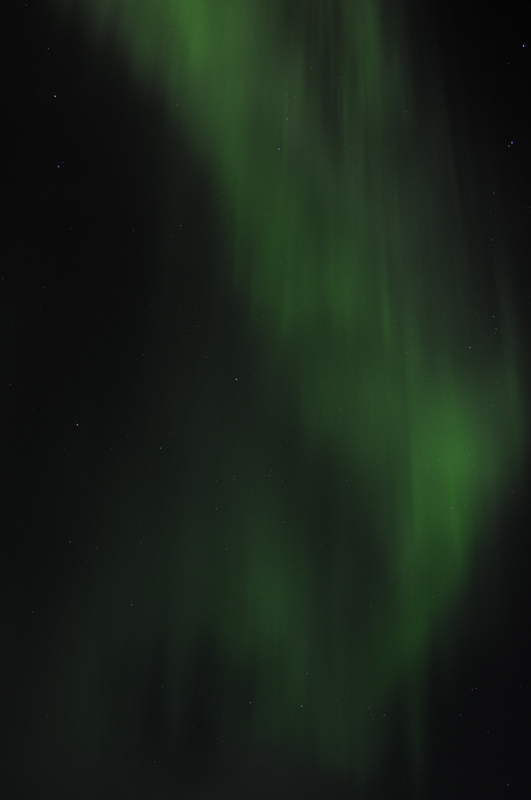 Long story short, the Aurora happens much higher up the sky than the clouds so the heavens have to be open in order for a land-based seeker to behold the grace of the Northern Lights. Depending on one’s location, the Lights appear in different part of the skies but here, In Arctic Norway, the Aurora happens mostly in its northern half. 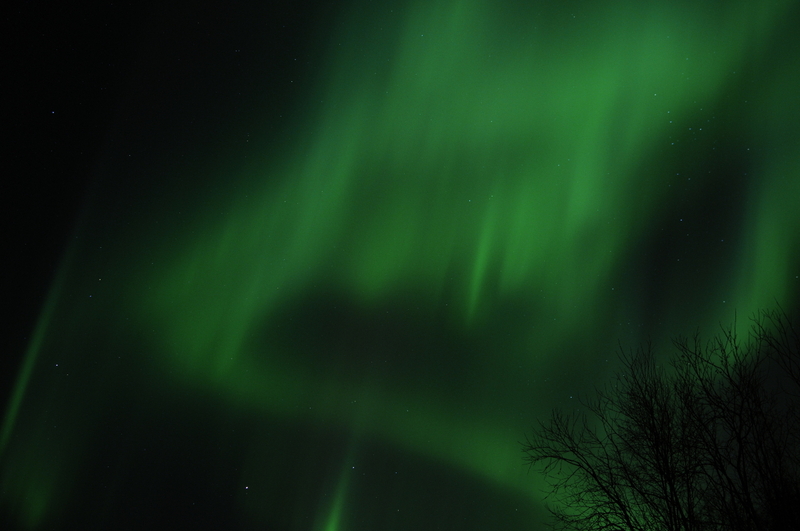 The Aurora may in theory happen anywhere in the starry sky. It often starts quite weak, as a slight streak of light, quite low on the horizon. The higher the light appears, the closest it is from the seeker’s abode. If the Aurora appears just above the horizon, it is about a thousand kilometers away, but if it appears at a 45 degrees angle up the sky, it is lies only a hundred kilometers from the seeker. When the light Auroral streak grows stronger as the evening progresses, it will materialize as an elongated, slightly bended arch, crossing the heavens from one extremity of the horizon to the other. The origin of this arch-like appearance is the Auroral Oval, a thin belt crossing the Polar Regions where Northern Lights appear. The arch-shape a seeker might see is actually part of a gigantic ring crossing the Northern hemisphere. As the evening progresses, different parts of the world will be covered by the Auroral Oval and the Northern Lights might become bigger, brighter and more colorful as the Auroraes move closer and closer to the seeker. 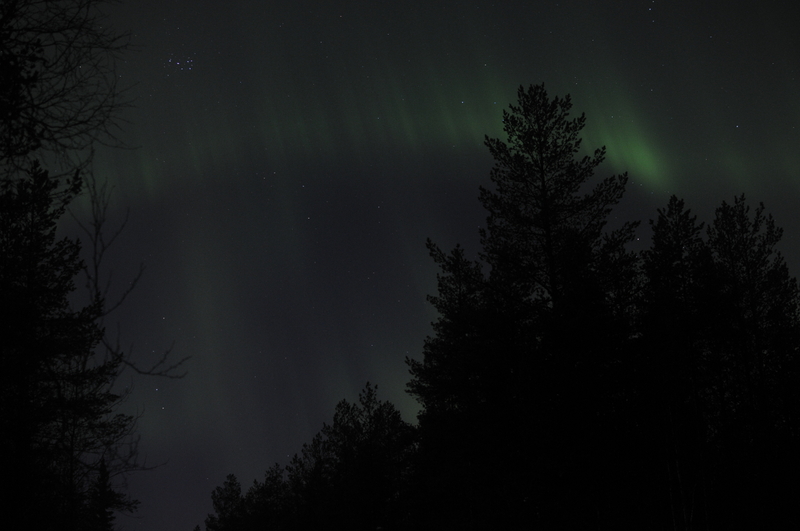 Ultimately, the Aurora might, as it commonly referred to by experienced hunters, break. This is when the Northern Lights’ true glory reveals itself. Those break-ups or storms need not necessarily appear. It is only when the solar winds, which fuel the Northern Lights, come in full force that they can be observed. In some cases, the Aurora might keep its arch-shape all night long, and in others, the storm might appear every low on the horizon and be very hard to notice. But sometimes the arch gets wider and brighter right in front of the seeker’s eyes and the Auroral storm starts raging over the whole sky. Those moments are what every Northern Lights seeker hopes to see when leaving the city-lights behind to gaze at the Aurora. In these moments, the Lights can take marvelous colors, mostly various shades of green but also yellow or red/purple. The arch splits and sends one of its arms straight up, creating the magnificent Corona (crown) with its marvelous draperies dancing, sometimes as close as 60 kilometers overhead. Those moments tend to be very short, maybe five to fifteen minutes in most cases, but sometimes, when the Gods grant the seeker’s wishes, the whole sky might burn in fiery fires for hours on end. Ultimately, the Lights will always weaken at some point and return to its original diffuse arch shape. This arch will most likely pulsate all night-long, getting at times brighter and disappearing almost completely at others. As the night right its course, the sky begins to lighten and when the last stars in the heavens leave way for a light-blue sky, the Aurora bids farewell, until next time.